Enjoy the beautiful sunrises on the screened porch while watching the dolphins play. This 2 bedroom 2 bath home has been fully renovated in 2015. Everything is new. Furniture to towels. The kitchen is well equipped with all new appliances and amenities. There is a 42"' smart television in the living room and a television in each bedroom. The home is equipped with DIRECTV and WIFI. 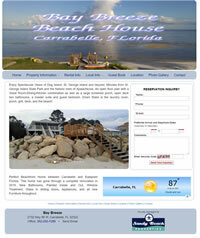 But best of all the house is located on a beautiful, tranquil sandy beach. 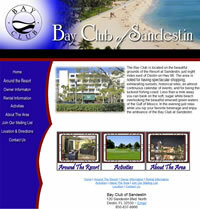 he Bay Club is located on the beautiful grounds of the Resort at Sandestin, just eight miles east of Destin on Hwy 98. The area is noted for having spectacular shopping, exhilarating sunsets, historical sites, an almost continuous calendar of events, and for being the luckiest fishing coast. Our one and two-bedroom condos are a comfortable retreat with remarkable amenities. Enjoy walks on the beach and admire the unbelievable beautiful sunsets from your own, private balcony. The close-by pier provides great opportunities for fishing and boating. Top off the day with a relaxing swim in the pool and a delectable dinner at one of the fine restaurants nearby. An intimate little jewel directly on the ocean with every amenity for a relaxing vacation. 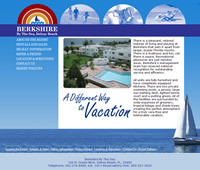 You'll find courteous service and unequaled Gold Coast location at Berkshire Beach Club. Your own private beach is just steps away, and you can walk for miles along the water's edge. 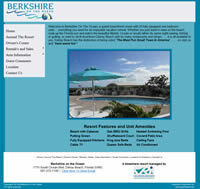 Berkshire Beach Club puts you at the heart of the most exciting recreational attractions in Florida. 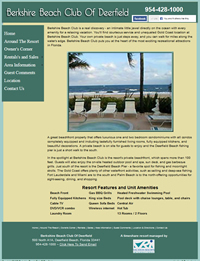 Berkshire by the Sea in Delray Beach, Florida, sets itself apart from larger, busier resorts with a pleasant, relaxed manner of living and playing. 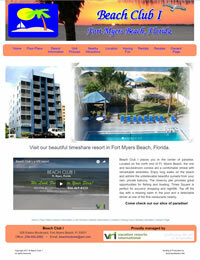 A quaint beachfront resort with 23 fully equipped one bedroom units….everything you need for an enjoyable vacation retreat. Whether you just want to relax on the beach, soak up the Florida sun and watch the beautiful Atlantic Ocean or would rather do some sight-seeing, fishing or golfing, or want to stroll downtown Delray Beach with its many restaurants and shops……it is all available to you. 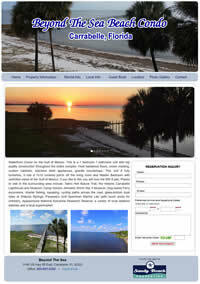 Waterfront Condo on the Gulf of Mexico. This is a 1 bedroom 1 bathroom unit with top quality construction throughout the entire complex. Host hardwood floors, crown molding, custom cabinets, stainless steel appliances, granite countertops. This unit if fully furnished, It has a 7x19 covered porch off the living room and Master Bedroom with unlimited views of the Gulf of Mexico. If you like to fish you will love the 500 ft pier. 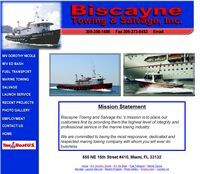 Biscayne Towing And Salvage, Inc.
Miami's Leading Salvage, Marine Towing, Launch Service & Fuel Transportation Company. 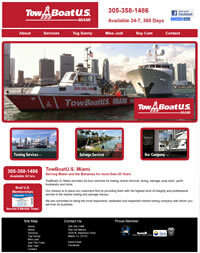 Serving Florida's East Coast and the Bahamas. 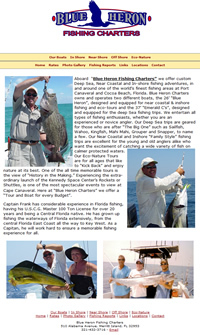 Custom Off-Shore, Near Shore and Inshore fishing experiences in and around one of the world's finest fishing areas. Our Family Style fishing trips are excellent for the young and older anglers alike. Our Eco-Nature Tours are for all ages that like to Kick Back and enjoy nature at its best. 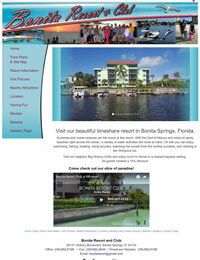 Sunshine and ocean breezes set the mood at this resort. With the Gulf of Mexico and miles of sandy beaches right across the street,, a variety of water activities are close at hand. On site you can enjoy swimming, fishing, boating, riding bicycles, watching the sunset from the rooftop sundeck, and relaxing in the Whirlpool tub. 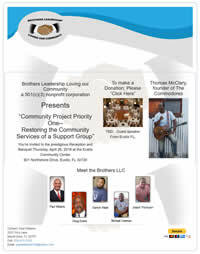 To assist people and their communities in every way possible when in need. Assist people to feel, enjoy and live safe in their communities without fear and in fear for their children. To assist seniors, the elderly, as many of them are in much need of help in making their lives comfortable with life living necessities. 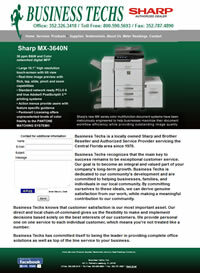 a locally owned Sharp and Brother Reseller and Authorized Service Provider servicing the Central Florida area since 1970. Business Techs recognizes that the main key to success remains to be exceptional customer service. Our goal is to become an integral and valued part of your company's long-term growth. Business Techs is dedicated to our community’s development and are committed to helping businesses, families, and individuals in our local community.